Just a simple outfit involving my new favourite piece of clothing, the fluffy jumper. I feel this jumper will definitely be over worn! I'm also still loving my backpack as much as when I originally bought it. Although there are many cheaper ones in shops such as Primark I am still very glad I got this one because I do really love the faux croc material and zip detailing (small details can lead me to spend a good £20 more unfortunately!). I've got the fluffy jumper in cream and I ordered in black during the week too! They're so lovely and warm aren't they I want every colour!! 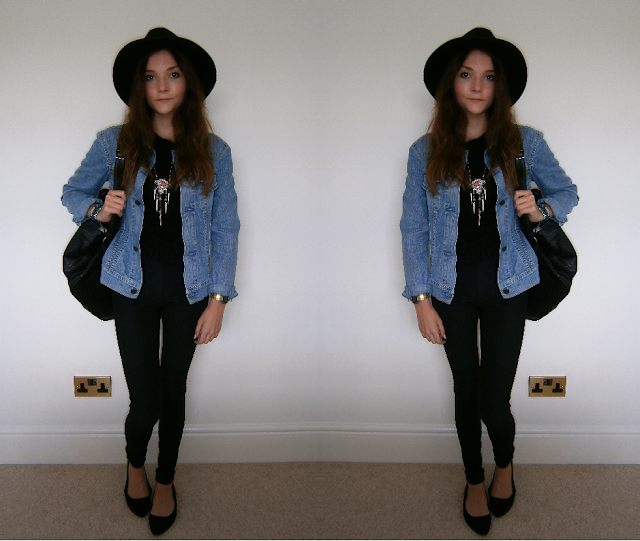 Absolutely love that denim jacket! following you now! Keep in touch! Love your style. The hat is really cute. Plus, a huge sucker for anything black. Love the jacket and the hat! 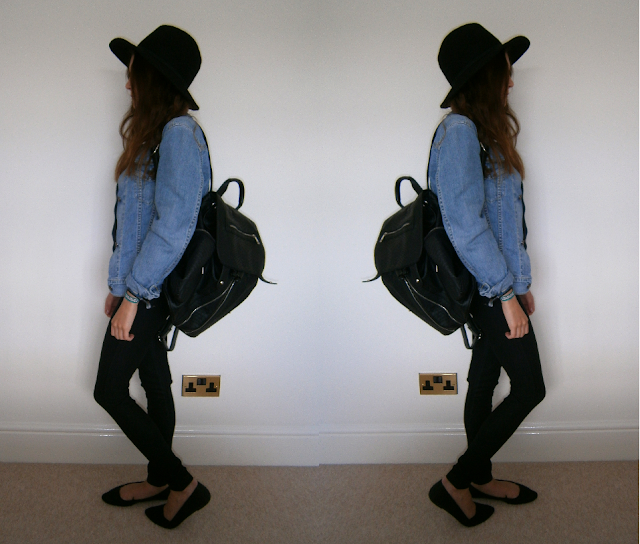 HAT, BACKPACK AND FLUFFY JUMPER looks gorgeous as always. This simple outfit with a beautiful backpack by wallace barton is outstanding.I would also try the dress and style you have worn,thanks for sharing keep up posting more. I appreciate several from the Information which has been composed, and especially the remarks posted I will visit once more .